South London clubs took the major honours at the British Masters Road Relays in Sutton Coldfield on Saturday with victories in the three main races. 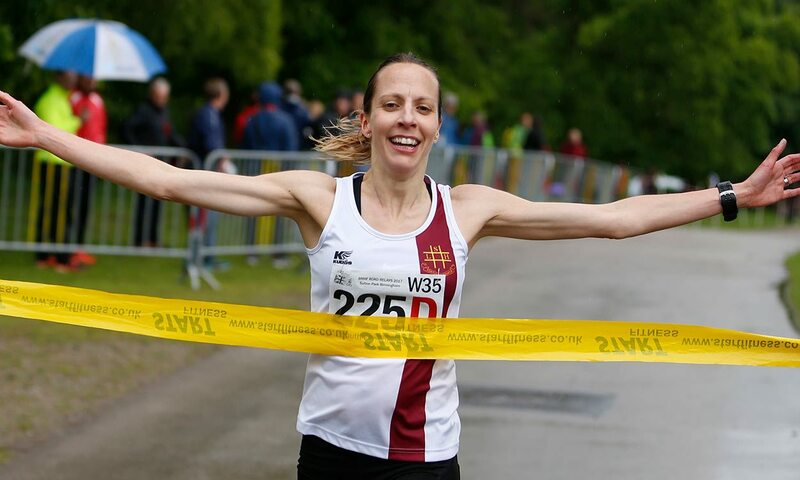 South London Harriers won the women’s W35 and M55 races, while Kent AC pulled off an exciting win in the M35 event. South London were only 13th after leg one in the W35 race but a 17:45 from former international Natalie Harvey moved them up to fourth. Jo Vickers moved them up to second on leg three with a 18:29 but they still started the final leg with a 104-second deficit. On the final leg, April James-Welsh ran 18:49 to pass Salford and give South London the title. In the W45 race, Bristol and West took the lead on leg two and Sarah Everitt on leg three was their fastest with 18:35 as they won by 23 seconds from Dulwich Runners, who moved into second through Clare Elms’ 18:16. Third-placed Telford’s Michelle Clarke, the opening leg runner, was fastest with 18:11. Dulwich went one better in the W55 race where they led all the way. Ange Norris gave them a one-minute lead on leg one with the overall fastest leg of 19:37 and the W65 multi world masters medallist stretched the lead to three minutes on leg two. They won by 100 seconds from Burnden Road Runners and Cannock and Stafford were third. Wolds Vets won the W65 race and Bingley won the M75 race which was held within the overall women’s race. The M55s had a separate race and South London also won gold there after Harrow led into the last leg. On the third and final leg Andy Tindall took them into a clear lead with the fastest overall leg of 16:35. South London won by 84 seconds from Scottish club Cambuslang with Tonbridge third. Oxford City won the M65 race by nearly two minutes from Rotherham and Bingley. David Oxland ran the fastest leg with 18:14. The M35 race was last off and the later legs were run in torrential rain. Kent AC won an exciting event after Chris Greenwood took the lead on the sixth and final leg to win by 14 seconds. Former Masters International winner Greenwood timed 15:15 but just failed to get the fastest leg award which went to runner-up Tipton’s Martin Williams with 15:11. Thames Hare and Hounds won an exciting M45 race also by 14 seconds from Preston with Tyne Bridge a further seven seconds back. The fastest leg was Terry Scott of Tyne Bridge with 15:24.